This article originally featured on the Phoenix Think Tank, and is republished with permission. Read it in its original form here. Even thirty-three years after the end of hostilities there, the Falklands Islands still enjoy close attention. Diplomatic skirmishes and oil exploration at the islands merit recurring interest. But perhaps above all, the positioning of the Argentine military draws attention which few of its other Latin American counterparts receive. In 2012, the Royal United Services Institute released a thorough review of the Anglo-Argentine security ‘equation’.1 In 2014, David Axe of War is Boring reviewed the Argentine Air Force (FAA) in close detail.2 Geopolitics help drive this attention – as Axe highlighted, Argentina “aspires to be a regional power”. Likewise, after investing blood and prestige in 1982, Britons remain concerned about the Falkland Islands’ security. 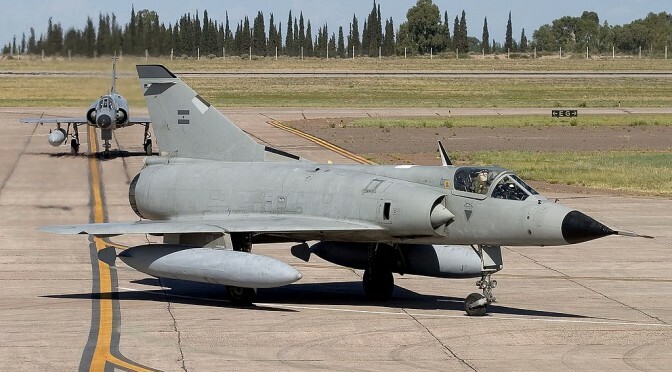 The latest flurry of interest comes with the retirement of Argentina’s ‘fast-jet’ fleet – leaving the FAA with an inventory of subsonic fighters and training aircraft. A layman might assume this marks the end of the Argentine military threat – but these waters are muddied by plenty of spilled ink. In August 2013, the British Sunday Express highlighted potential sales of Spanish Mirage fighters to the FAA.3 Then again in February 2014 the Express announced a £3 billion increase in the Argentine military budget, including “£750 million for 32 procurement and modernisation programmes.”4 Later that year, both Spanish-language5 and English-language6 outlets covered potential Russian leases of Sukhoi attack aircraft to Argentina. In January this year the Uruguayan news outlet MercoPress reported on potential Chinese fighter aircraft sales to Argentina 7, news substantiated later by Jane’s Defence Weekly.8 Both MercoPress 9 and Jane’s 10 returned to this topic in February – this time highlighting the sale of the Chinese P18 corvette to the Argentine fleet. Put simply, a cursory review suggests a determined Argentine policy to enhance its military power. There is real merit to this recurring emphasis on Argentina’s air and naval inventories: Power projection capabilities are often the most important metric of military power. While land forces can secure and defend territory, only air and naval forces have the reach to intimidate, deter or attack distant targets. Indeed, the critical role of the FAA in 1982 makes it a natural focus-point for anyone familiar with the Falklands Conflict. Argentina’s stock of air-launched missiles – though barely publicized – likewise seems of dubious standards. The venerable Exocet anti-ship missile, infamous in 1982, still features: Spanish-language coverage reports that efforts began in 2005 to extend Exocet lifespans,12 but by 2014 these had apparently met with only partial success.13 Latin American social media and Argentine military blogs both refer to another anti-ship missile model – the AS-25K – but reliable details are less forthcoming on stockpiles and capabilities. But what of the Argentine Navy? Annual bilateral exercises are held with the Chilean Navy17 and a vital life-extension program for its P3 Orion patrol aircraft is underway.18 Coupled with the acquisition of Chinese P-18 corvettes, initial impressions suggest a service intelligently building core capabilities – but a fleet is more than the vessels it operates. Argentina’s maritime-industrial supply chain, on which any navy relies for upgrades and maintenance, appears to be chronically underperforming. 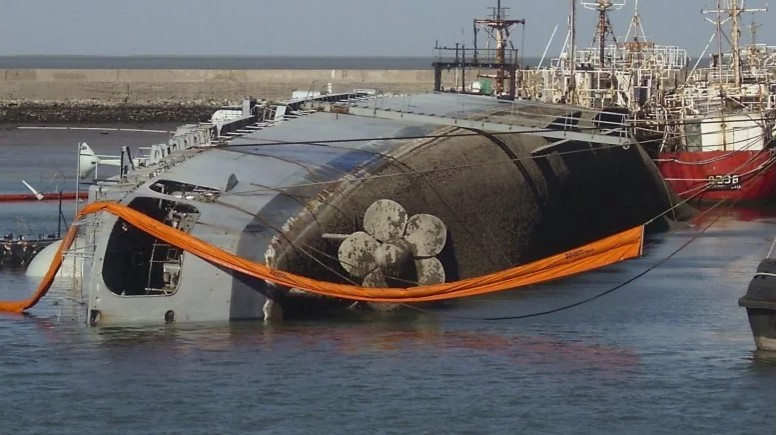 A Mid-Life Update for one of the fleet’s two submarines had a seven-year turnaround;19 the Argentine Navy icebreaker Almirante Irízar completed its refit in August 2015 – eight years after suffering a fire in 2007.20 With such a track record, the 2010 announcement that a nuclear submarine would be built in Argentina21 appears unrealistic at best. The Argentine Navy itself comes off little better. A sensational 2012 MercoPress article revealed a host of striking shortcomings: Each of Argentina’s four destroyers were reportedly suffering engine problems and expired ordnance; while submarine crews were receiving 19 hours rather than the 190 days minimum submerged training.22 In a 2014 TV expose, Former Argentine Minister of Defence Horacio Jaunarena identified the fleet as Argentina’s most modern armed force – but estimated it as only 40% operational.23 To date, little appears to have been done to remedy the situation. ARA Santisima Trinidad, the only British Type 42 destroyer built outside Britain. She was the lead ship of the Argentine landing force on the Falklands/Malvinas islands in April 1982. Argentina’s air and naval capabilities are trapped in a deep malaise. But what lessons does this hold for British military and political leaders, who have more reason than most to take note? But how relevant are such ‘hybrid’ threats to the Argentine context? Where asymmetric tactics have succeeded – as in the Ukraine or the South China Sea – China and Russia materially and economically dominate their opponents. A militarily weak Kiev was caught surprised and uncertain by Russia’s lightning invasion; Vietnam and the Philippines are divided and outclassed against China’s fleet. The hybrid threat rests on conventional power, and the ability to project or escalate a confrontation. Britain’s position in the Falklands, by contrast, is challenged by a dysfunctional economy wielding a shrinking arsenal of aging, ill-equipped air-naval assets of minimal power projection value. The core lesson in this context is for UK policymakers to hold their current course. Key capabilities at the Falklands garrison are already being improved, including enhanced air mobility28 and radar upgrades.29 Both steps are politically and militarily valuable for deterring Argentine initiatives, whether conventional or hybrid. Combined with British diplomatic clout – Argentina’s bid for Swedish jets was doomed by British pressure – the Falklands will remain secure against the full spectrum of possible threats. Hal Wilson graduated with first class honors in War Studies and History from King’s College London in 2013. He wrote his dissertation on the counterinsurgency lessons of the Afghan War, and also specialized in modern naval history. He works as an analyst in financial services, and has also worked as Principal Administrator of the Phoenix Think Tank since late 2012. Hal has a continuing interest in British maritime history, and its lessons for current policy. Previous PostPeople Not Parts: Returning Ingenuity and Tenacity to our Officer CorpsNext PostHow Peaceful Is The South Atlantic? They only way Argentina can get a reliable and creditable Military is if they make a Deal with Pakistan and China on the JF-17 and with China on new Frigates, Corvettes and SSK Submarines.